My Drum School Buona Vista (West) is our 4th centre we launched in Singapore. 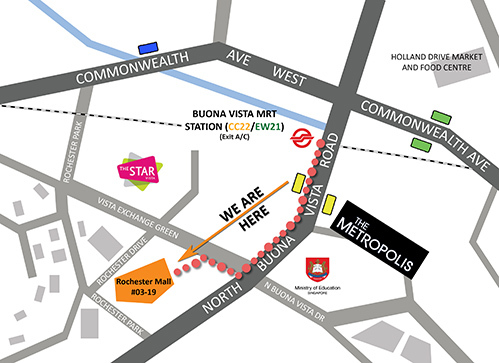 Our school is less than 400 metres from Buona Vista Station (EW 21). It takes less than 7 minutes to walk to MDS from the MRT station.